If you were a nerd in the 1970s, this mask might look familiar! 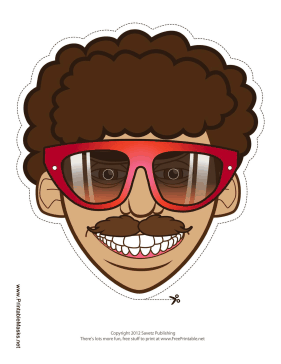 This man's mask includes red sunglasses and brown hair, as well as a mustache. This mask is free to download and print.